Established in 2004, Inspired Electrical Solutions specializes in the installation and maintenance of Generac Automatic Standby Generators. Providing standby electric power solutions in Locust Grove, VA, and its surrounding areas, Inspired Electrical Solutions is a Class “A” Electrical contractor with knowledgeable, dedicated professionals taking pride in delivering outstanding, personalized service to our customers and community for all their standby power generator needs. 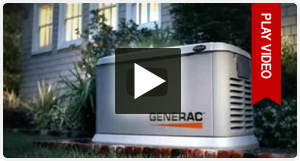 Whether you have a power outage due to a thunderstorm, snow storm or something worse, Inspired Electrical Solutions professionally installs and maintains Generac standby generators that will automatically revive your power—never leaving you without electricity in your residential home or commercial building. In addition to standby power generator maintenance, Inspired Electrical Solutions also offers a full range of other electrical services for Locust Grove as well as Charlottesville and Fredericksburg including residential wiring, electrical inspections, home additions, and much more. Inspired Electrical Solutions aims to provide quality work with integrity and reliability when it comes to all our customer’s electrical needs. We set the standard. Call us today for an estimate – (540) 854-9100.